Thai boxer Wanheng Menayothin clinched his 50th straight victory on Wednesday, stopping a Panamanian challenger to hold onto his WBC minimumweight belt and tie the undefeated record of boxing great Floyd Mayweather Jr. The 32-year-old Thai nicknamed the “dwarf giant” reached the milestone in the fifth round as Leroy Estrada failed to recover from an uppercut. The Panamanian was the busier of the two fighters in the opening rounds, leaving a cut above Wanheng’s left eye. But the veteran Thai was unruffled, knocking down Estrada twice in round three with withering right hands and again in the fourth before the stoppage in the fifth. Wanheng’s quest to equal “Money” Mayweather has drawn interest between the unheralded, soft-spoken Thai and the brash and vastly more wealthy American. “I’m happy that I can make the same record as him (Mayweather),” the champion said ringside after the fight. Asked about surpassing the streak, he said he was not thinking about it yet but would keep training hard. The bout was hosted in the northeastern Thai city of Nakhon Ratchasima, far from the glitz of Mayweather’s favoured venues in Las Vegas. Boxing analysts have taken note of the achievement but pointed out that Wanheng has dominated undistinguished rivals compared to Mayweather, who took out greats including Manny Pacquiao and Oscar De La Hoya. 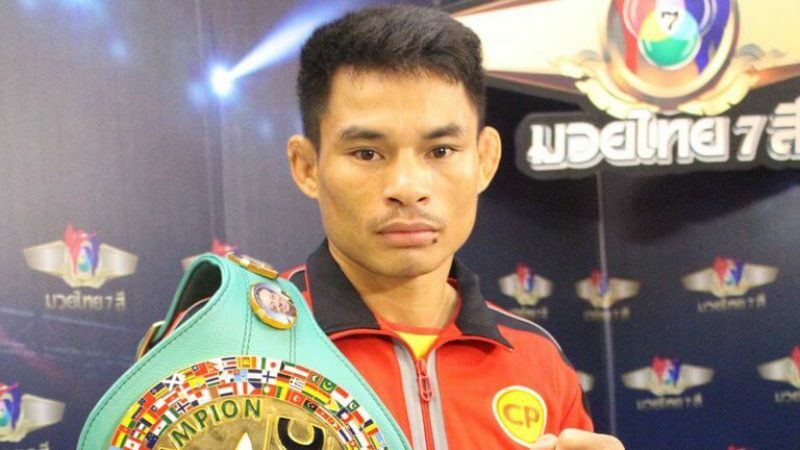 Fighters in Thailand often compete under the label of their gym, which is where his second name Menayothin — the name of his Bangkok gym — comes from. The Thai boxer’s legal name is Chayaphon Moonsri. But he is better known by the nickname “dwarf giant” — on account of punching power that belies his size — and “Five-Star Grilled Chicken” because of a sponsorship deal with a Thai food company.